How to Market Your Practice Better and Still Have a Clean Conscience - LifeLearn Inc. : LifeLearn Inc. The Challenge: In order to attract new clients and stay competitive against competing practices, you know that you need some type of marketing plan to increase and your online presence and maintain that presence. The Problem: You’ve likely encountered enough annoying pop-up ads and aggressive old-school sales pitches online by now that the word “marketing” has left a bad taste in your mouth, and you want to be able to sleep at night by not becoming one of “those” marketers. The Solution: You don’t have to become the kind of marketer that gives marketing a bad name. 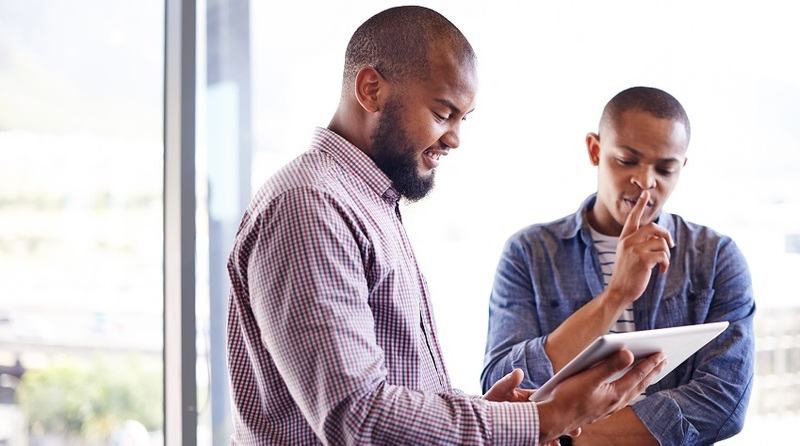 You can still market your practice more effectively and have a clean conscience by understanding the difference between push marketing (a.k.a. outbound marketing) and pull marketing (a.k.a. inbound marketing). Growing numbers of people now find push advertising to be intrusive. According to Mashable, a staggering 84% of people age 25 to 34 have left a favorite website due to intrusive advertising. Pull marketing is a non-obtrusive approach designed to draw customers to a website (or, pull them in) through search engine optimization. According to Hubspot, pull marketing (a.k.a. inbound marketing) can double the average website conversion rate. In other words, by simply improving and maintaining your ranking in search engines, you improve your discoverability by pet owners and increase your chances of converting more pet owners into clients to grow your practice and stay competitive. When pet owners search online, they tend to use natural-language phrases like “local veterinary clinic.” Or they may search by full and specific questions like, “Where can I find a veterinarian within a 10-mile radius?” Effective use of keywords in your website headings and content to improve discoverability is about putting yourself into the minds of pet owners, thinking about how they ask questions, and using those words in your SEO. And this includes seasonal adaptation. While pet owners may search “tick protection for dogs” or “heartworm prevention for cats” in spring, their focus may shift to “veterinary clinics that board pets” when summer rolls around. Maintaining optimal SEO involves adapting website keywords and phrases as the thoughts and needs of pet owners change throughout the year. Search engines like Google are businesses. To keep people using their services, Google wants to provide the best user experience possible, and people do not enjoy slow websites. According to the Aberdeen Group, a one-second delay in web page load time causes 11% fewer page views, a 16% decrease in customer satisfaction, and a 7% loss in customer conversions. So, Google is always adjusting its algorithm to rank faster-loading websites higher while dropping slow-loading websites down the page. Compressed images and style sheets, configured ETags, and clean code all optimize website load speed to keep your practice website ranking high on search engines. It’s one thing to attract more pet owners to your website by ranking higher on search engines but design is key to keeping pet owners engaged once they arrive. According to Stanford University, 75% of people surveyed said they made judgments about a company’s credibility based on their website. Does your practice website have a clean, modern, and user-friendly design? Is it easy to navigate? Is your website optimized for mobile? According to MarginMedia, 48% of people surveyed said that if a business didn’t have a mobile-optimized website, they took that as an overall reflection of the business not caring. According to Econsultancy, 62% of businesses with mobile-optimized websites experienced increased sales. An optimized practice website effectively represents a sound marketing plan because it pulls more pet owners to you. So, make an honest assessment of your website. Does your SEO answer pet owner questions? Does your website design convey trust? 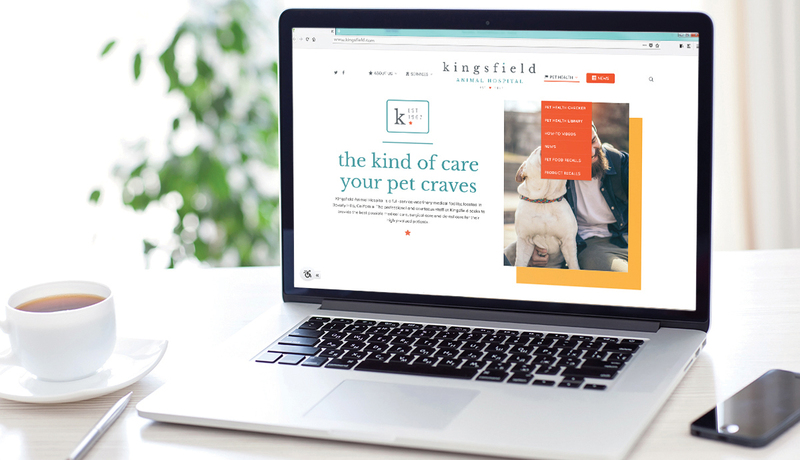 The more you consider how your website looks and functions from a pet owner perspective, the more you do to increase your online presence and attract more clients. For quick examples of the kind of websites we’ve mentioned, click here to check out some of our WebDVM veterinary website designs. As a cross-section of veterinary websites from different areas, the designs can help you make a quick visual assessment of your own website to see how it stands against others.